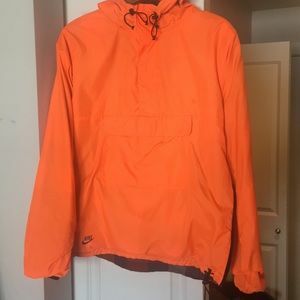 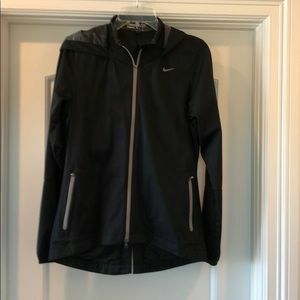 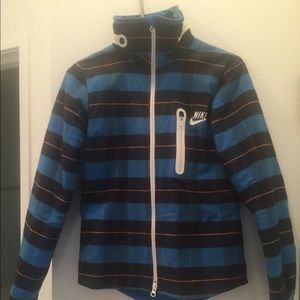 Nike track jacket. 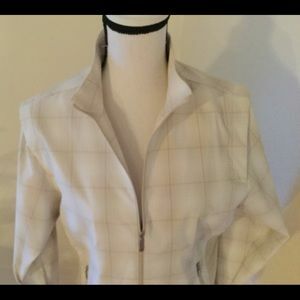 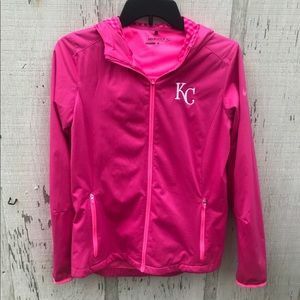 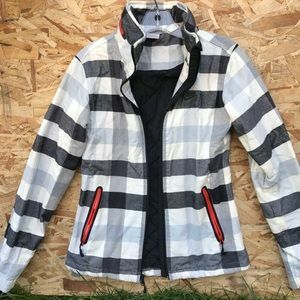 Ladies Small 100% polyester. 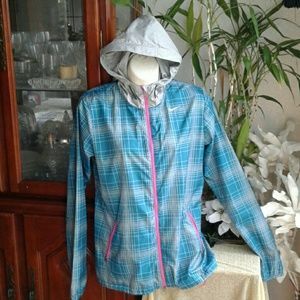 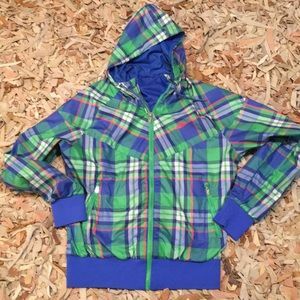 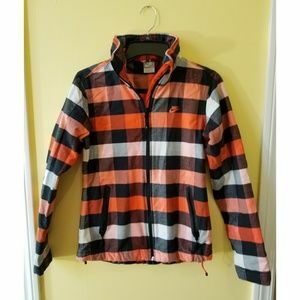 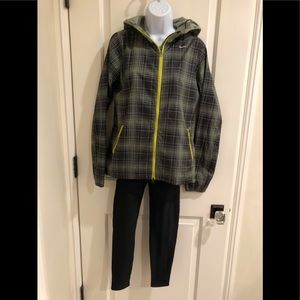 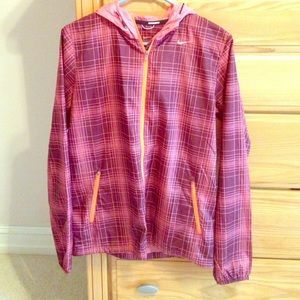 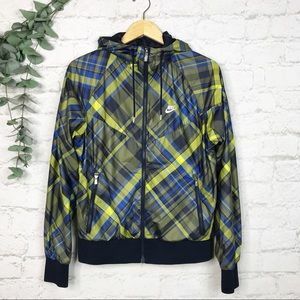 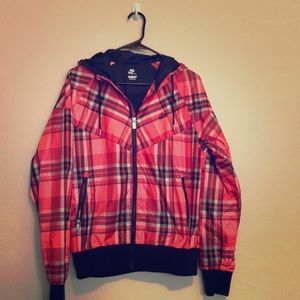 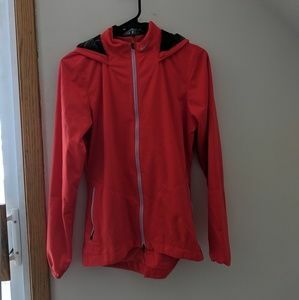 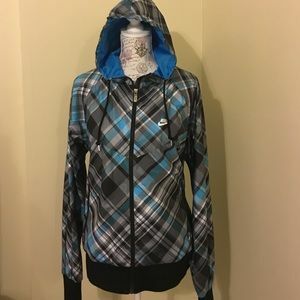 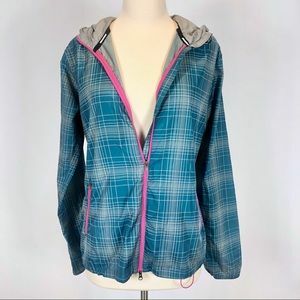 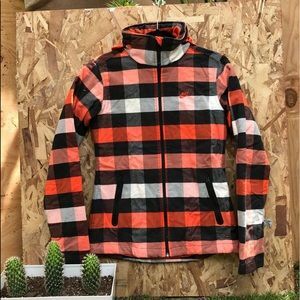 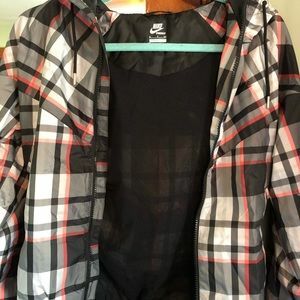 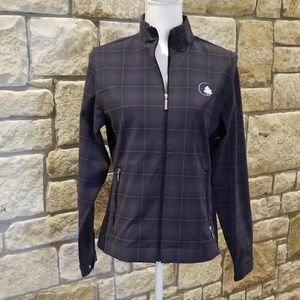 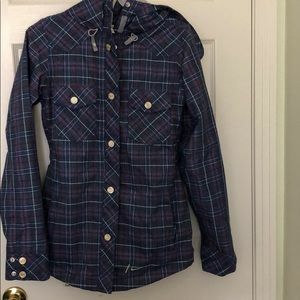 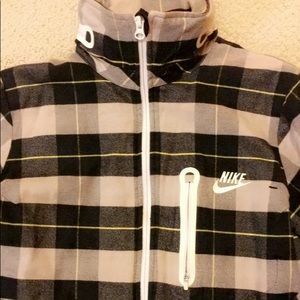 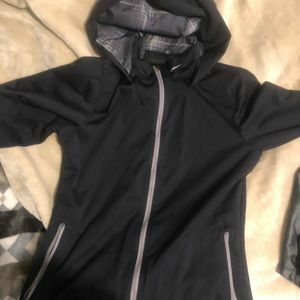 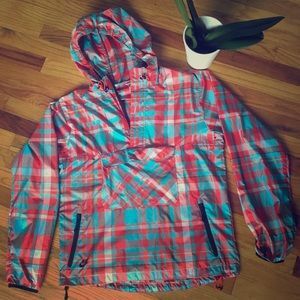 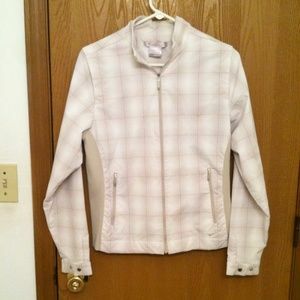 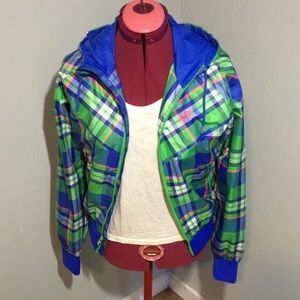 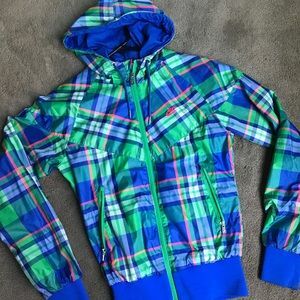 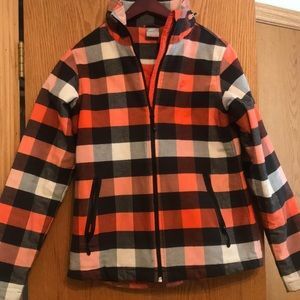 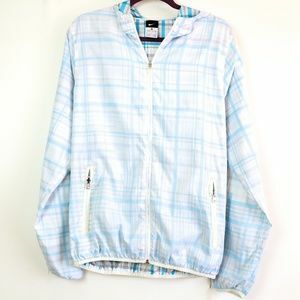 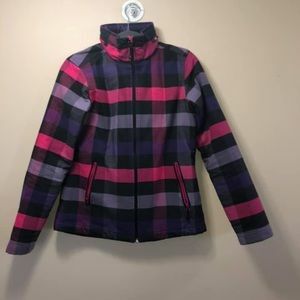 Used, Nike plaid jacket with hood.